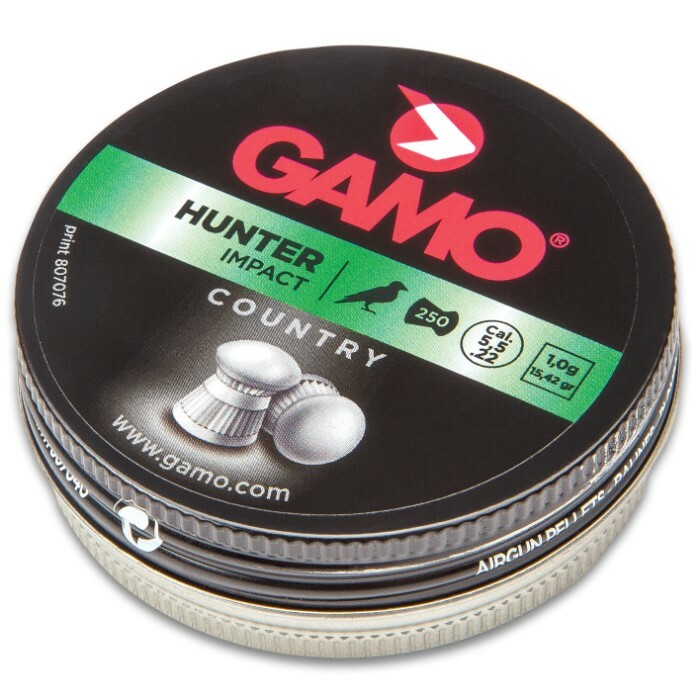 Gamo .22 Caliber Hunter Air Gun Pellets - 250-Count, 676 FPS, 15.4 Gr, Consistent Shape And Size, Terrific Impact | BUDK.com - Knives & Swords At The Lowest Prices! 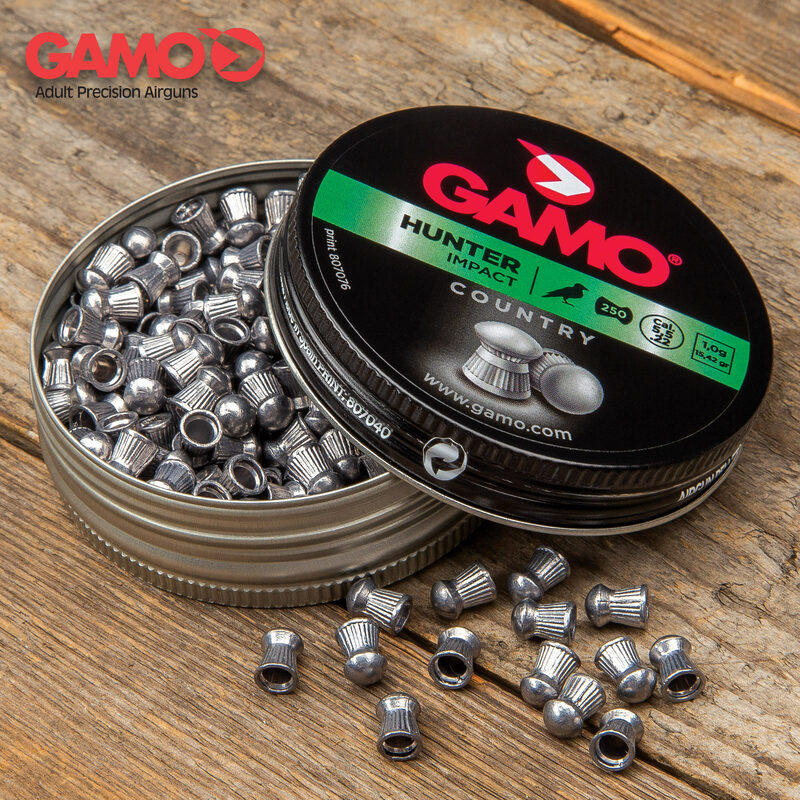 Gamo is the world’s largest manufacturer of airgun pellets and they produce the most accurate air gun ammunition money can buy. 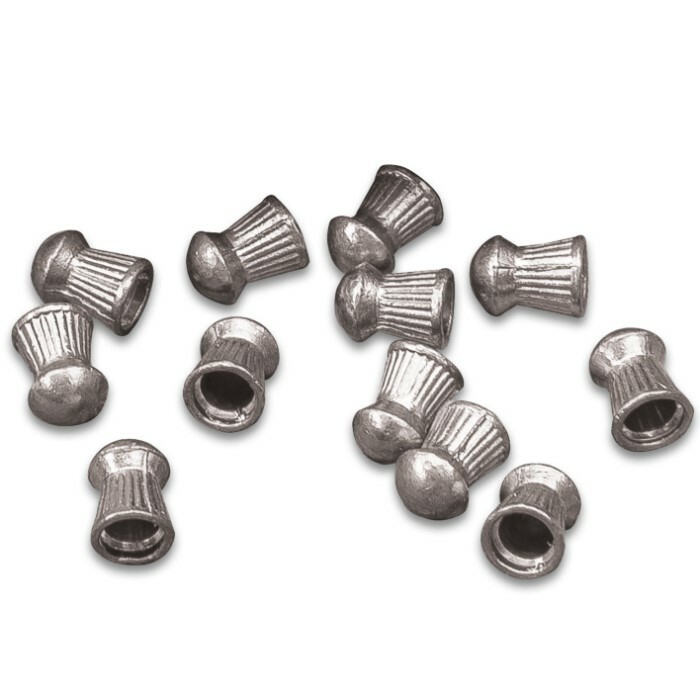 Using state-of-the-art manufacturing techniques, the pellets are consistently monitored to the strictest standards to ensure consistent shape and highest quality. Due to the heavier weight and dome configuration, the .22 Caliber Hunter Pellet performs with terrific impact, even at long distance shots! Ideal for both target practice and general use, these pellets feature the same high quality, superior accuracy and ample potency you can expect from all Gamo pellets and BBs. This is a 250-count tin can with a screw-on lid.